Did you know you can drive a pickup truck in a California carpool lane, even if you’re a single occupant? But not just any pickup truck; it’s your compressed natural gas (CNG) truck that may qualify you. Operators of model years 2014 and 2015 Ford Super Duty 6.2 liter pickup trucks equipped with a dedicated CNG Westport WiNG™ Power System (formerly BAF Technologies) now qualify for a carpool lane decal under the Clean Air Vehicle program. California’s program for Clean Air Vehicles allows single-occupant vehicles with a valid sticker to travel in the high occupancy vehicle (HOV) lane. 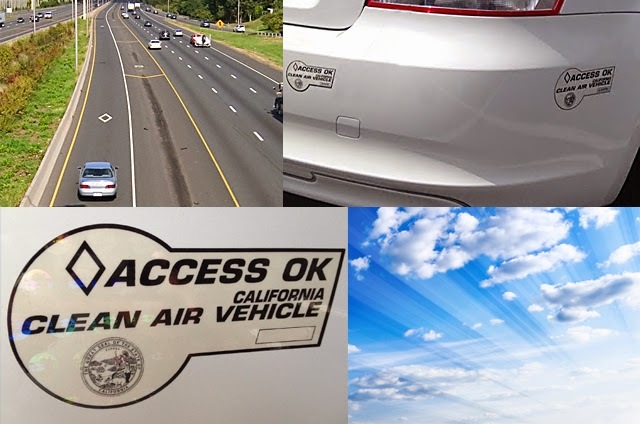 Under the amended California state senate bill AB-266 approved last fall, “White Clean Air Vehicle Stickers” are available to an unlimited number of vehicles that meet the strict Federal Inherently Low Emission Vehicles (ILEVs) standards. These vehicles typically include pure battery electric vehicles, hydrogen fuel cell and dedicated CNG vehicles. A complete list of qualifying vehicles can be found on the California Air Resources Board website. The white sticker program expires January 1, 2019. According to NGVAmerica, other states which offer HOV lane access to single-occupant dedicated CNG vehicles include Arizona, Colorado, Georgia, Utah and Virginia. “NGVAmerica applauds these states for encouraging commuters to carpool and drive fuel-efficient, alternative fuel vehicles which helps reduce congestion and promotes clean air quality through lower vehicle emissions,” says Thomas Sheehan, Manager, Market Development, NGVAmerica. Maryland, Massachusetts and New York have also recently looked into this incentive. Westport also offers bi-fuel (CNG and gasoline) and dedicated CNG vehicles in the United States and Canada. See the Westport website for full details and product availability. For more information about California’s carpool lane qualifications, visit the California Air Resources Board website.